One of the pieces of advice I often give aspiring writers is to find people who will read your work and give you feedback. But how? If you're not already plugged into the online writing community, it can seem difficult. I thought I'd use this guest post opportunity to write about my seven awesome critique partners, how I found them, and how they influence my writing. After grad school, when I started writing more seriously, I shared my work with my best friends - mostly former English majors, all voracious readers. I was a dramaturg in grad school, working with playwrights to develop new work, so I turned the same tactics on myself: What did you like? What did you want to see more of? What confused you? What questions do you have? Their responses were incredibly helpful and set me on a path of revision. It took two years to write (and rewrite and rewrite) that manuscript - a YA fantasy about a painter who discovers her family's link to a world where artists are considered enemies of the state - but it was worth it. It landed me an agent, back in fall 2009. It was actually back in fall 2009 - five years ago! - that I started corresponding with my first CP. 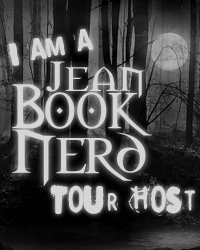 I'd been reading agent and author (and aspiring author) blogs since I stared writing seriously in 2007, and I had my own blog on Livejournal. When I put out a call for people to read my synopsis for that first manuscript, Katie (Kathleen Foucart) offered to help. 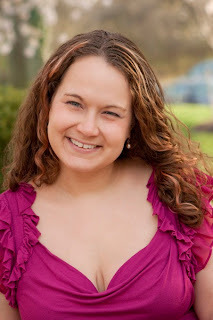 A few months later, when she put out a call for beta readers for her paranormal shifter YA, I volunteered. We've been reading for each other ever since. She asks fantastic world-building questions that - even if I don't answer them in the text - always inform my books. And more than that, we've become friends. Throughout the editing and publication process for Born Wicked, she was my go-to person for writerly support. When I was terrified to go on tour or beating my head against the wall about edits, I sent her flailmail after flailmail, and her support was invaluable. I met my second CP at the ALA conference in DC in summer 2010. Jackie Dolamore was there promoting her new book, Magic Under Glass, and we'd commented on each other's LJs before. We ended up hanging out talking about books and hit it off. We've read several projects for each other since. Jackie has a knack for creating amazing fantasy worlds that feel richly textured and layered, with fascinating fashions and foods. Reading for her and noticing what care she takes with those details makes me want to expand my own world-building! And she was endlessly patient with all my newbie questions when I got my book deal. That summer I also met Caroline Richmond and Robin Talley. They had both recently signed with Awesome Agent Jim too, and all three of us lived in DC! Caroline suggested we meet up at Matchbox to talk writing and publishing, and the rest feels like ancient history. We were all on sub together that first fall, and they commiserated with me when that first manuscript was shelved without selling - and then took me out to dinner at Coco Sala (a local chocolate-themed restaurant) to celebrate when my next one, Born Wicked, did sell. For awhile, we were more about writerly support (and, ok, regular happy hours) than critique, but eventually we started sharing our work too. And Caroline introduced us both to Andrea Colt, another local writer, who quickly became part of our happy hour circle. I feel like I've learned lots not just from their critique of my work, but from reading multiple manuscripts from each of them and being inspired by their strengths. Robin's written historical, contemporary, and paranormal, but all of her books feature fabulous, strong, smart girls who fall in love with other girls. She definitely makes me think more about feminism and LGBTQ diversity in my work. Caroline writes such gorgeous prose that I'm green with envy - and it reminds me to take more care with my word choice. And Andrea has a knack for swoony romance - not to mention the courage to change her publishing path and self-publish. I met my last two CPs through the Apocalypsies, my debut 2012 author group: Miranda Kenneally and Tiffany Schmidt. They're both amazing - not just because they both read super fast and give incredible line notes - but because they've been there to sympathize with the ups and downs of debuting every step along the way. But they do give incredible line notes. Tiffany is genius with reader reaction, telling me when the reader needs more information to remember what's going on, and gives great character suggestions. And Miranda is fantastic with pacing and end-of-chapter hooks, managing to suggest cuts without making me wince. And I'll read anything either of them write! 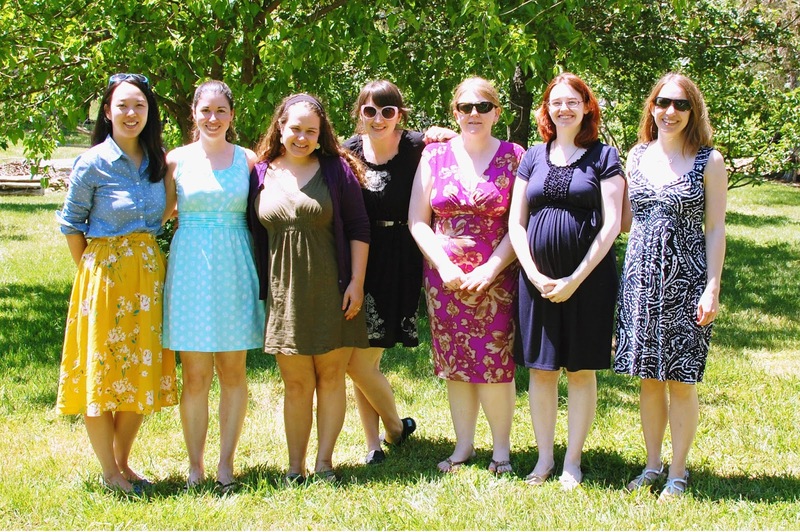 I know some writers don't use critique, preferring to work alone until they share work with their agents or editors, so your mileage may vary - but I'd be lost without these seven awesome ladies, both personally and professionally! And bonus - here's a picture of Caroline, Andrea, me, Tiffany, Miranda, Katie, and Robin at our now-annual Memorial Day retreat! Jessica Spotswood reunites her readers with the Cahill sisters in the thrilling sequel to The Cahill Witch Chronicles, Star Cursed. Cate is in the middle of things again as the prophecy seems to be aiming towards her and her two sisters. Living in New England now a member of the Sisterhood, she still feels like an outsider. She’s sacrificed so much and left everything behind that it was expected for her to feel unhappy with her new life. When a prophecy is expecting one of the three sisters to bring the Sisterhood out of the tyranny of the Brotherhood, it means Cate has to put the people she loves in danger. Cate continues to grow and learn from her past and quickly adapts her lessons to her present predicaments. Although she was in a state of loneliness, it didn’t stop her from standing up for what she believed in. Her wise choices and heroic actions are the types of attributes that make a protagonist memorable and enjoyable. The introduction of new characters gave more depth to the story. Spotswood’s writing is simply incredible as she provided complexity to all aspects of the book. From characters to plot, and from settings to dialogue, it was apparent that a lot of thought and consideration was put into this book. Maura and Tess were introduced in the first book but readers will really get to know them in the sequel. The prophecy has made situations that really defined characters. The ending will shed light on a character that will leave many readers in disbelief. This leaves a trail for the third book to follow to what I know is going to be another great continuation to this amazing series. Star Cursed does not fall victim to the dreadful sequel filler. This book provided much details towards Cate as a character, as well as her sisters and the Sisterhood. 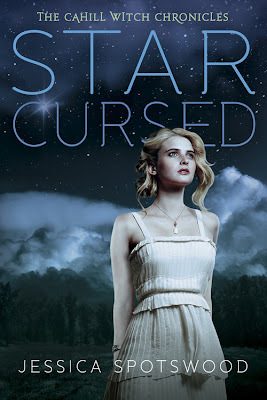 1 Winner will receive a Signed Copy of Star Cursed by Jessica Spotswood. Sounds like an awesome sequel! Thanks, Jessica!